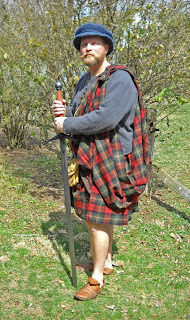 Gaelic Lord and warrior circa 1000AD in Argyll. Mid Argyll was the home of the Gall-Ghaeil, or the 'foreign Gaels,' in the early medieval period (850AD to 1150AD). 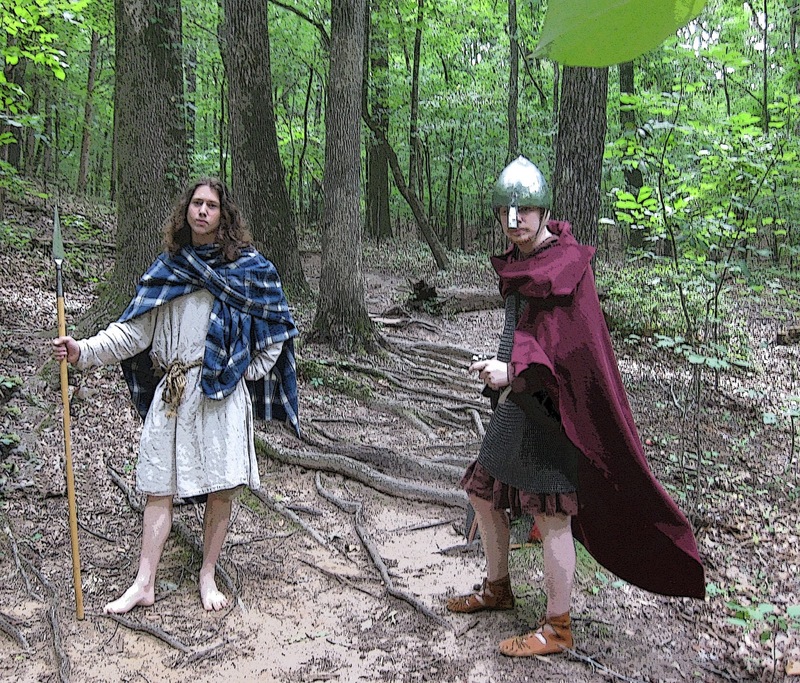 These people were primarily Gaelic in ethnicity, but were very influenced by their exposure to the Norse. They became Gaelic Vikings essentially. They adopted Norse technology in the accoutrements of war and shipbuilding. The warrior caste society of Argyll founded by the Gall-Ghaeil gave rise to the Gallóglaigh and later the Redshanks. I have been doing research on the 1630 muster roll taken in the Portlough precinct of the Laggan District in east Donegal. This is an important area because it was where the Redshanks of Fionnaula Níc Dhónaill settled. She is also known in history as the very famous Iníon Dubh, a major player in Irish history. She was a Scottish princess, the daughter of Seamus Mac Dónaill, Taoiseach of Clann Dónaill and Anna Chamibeul, daughter of the Earl of Argyll. Below is a list of the men on the 1630 Portlough precinct muster roll. This list is particularly important as according to Crown records, as late as 1628, this precinct was described as not being planted yet, meaning to English eyes it was still very Gaelic and Irish, but in fact, it had been planter after a fashion, but by Scottish Gaels from Argyll, the Hebrides, and Ayrshire. For those who are researching via DNA testing, the list below particularly important. If as your match group forms, and if you find a geographic link to the Laggan, this list may contain your ancestor on it. Almost all the surnames on the list are Scottish. Most from mid Argyll, but quite a few from the Lennox, and western Ayrshire. Many of the names are of obvious Caimbeul sponsored Redshanks who came with Iníon Dubh to Donegal circa 1569 into the late 1590s. 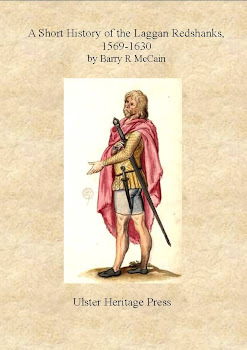 The Caimbeul clan recruited Redshanks from not only their base in mid Argyll, but also from allied clans in the Lennox, from Arran, Bute, Mull, etc. I have left the spellings as they appeared on the original list, which some modern forms in parenthesis. On a personal note, I was surprised to find my own ancestor on the list. Not only is he remembered in the oral history of my family here in the New World, but there are still McCains living in Donegal right where he reported for the muster roll. Which is illustrative of how to combine DNA testing, oral family history, and primary source documents, to recover lost family history. I am now working the Scottish point of origin of all the Redshank surnames on the list. This will be offered in the hard copy version of A History of the Laggan Redshanks, 1569-1630 which will be out this summer. The illustration above was done in 1603 by Hieronymous Tielch. 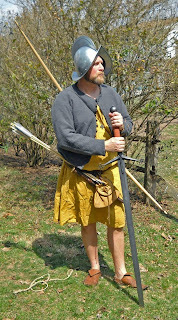 The fèileadh mór, pictured above, was in general use by the mid 1590s, given the popularity of the garment by that time it must have been in use for some time, perhaps by the mid 1500s in some areas of the Western Highlands. There is much speculation on why and how it came into use; it very likely have to do with the growing colder climate in Europe at that time and improvements in looms. 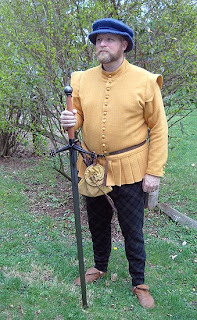 Fashions change, even among social conservative societies such as the Gaels. 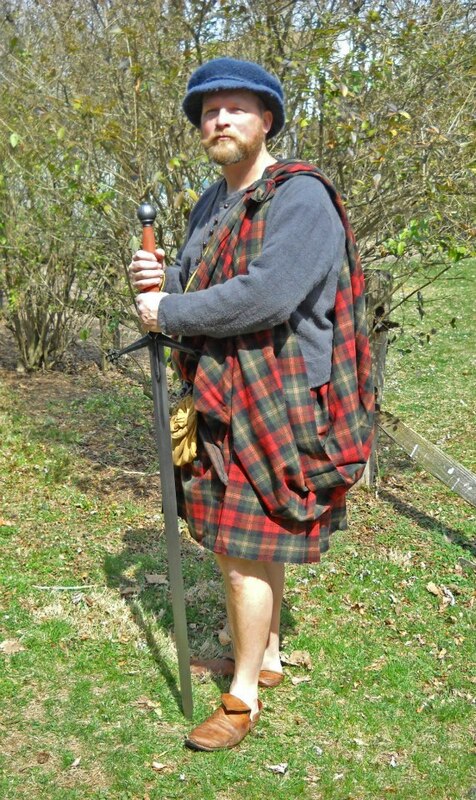 The earliest eye withness accounts of the kilt being worn come from 1594 in a description of Redshanks in service of Aodh Rua Ó Dónaill in Donegal. The society in Argyll, and parts of the west Highlands in general, was unique in the Gaelic world, because of the influence of the Norse. The Norse settled in Argyll, they did not replace the indigenous Gaelic population, but rather they joined to it, and created a unique people called the Gall-Gael, or 'foreign Gaels.' 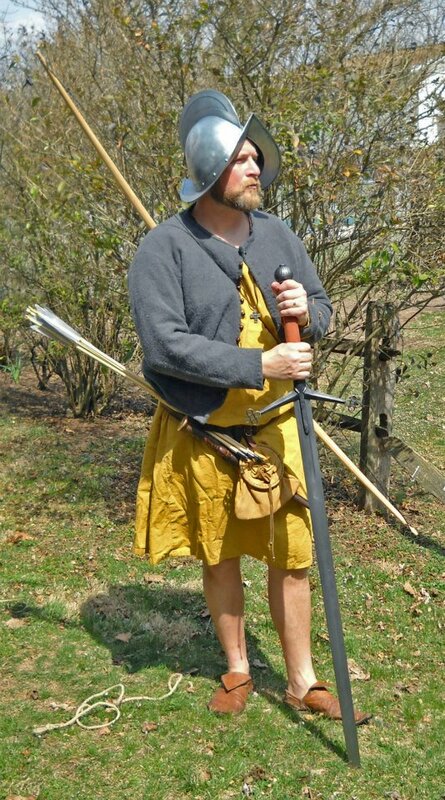 This unique people also had a significant cultural and technological input from Norse, specially Viking, society. The old Scottish kingdom of Dál Riata was the epicenter of Gall-Gael society. (also spelled Gall Gàidheil in modern Scot's Gaelic) It was this society that the Gallóglaigh and related Redshank warrior castes flourished. Their organization and accoutrement of war was Viking in origin. The Gall-Gael were more Gaelic in that the Norse influence was small in numbers, and it can be said they were more a case of native Gaels going 'Viking.' We do know that the DNA results of many Argyll families from historical Gallóglaigh and Redshanks kinships, are native Gaelic in origin. The Gall-Gael are the subject of recent historical research. Below is a link to an article by a young Scottish historian that address Gall Gael people and society in mid Argyll.